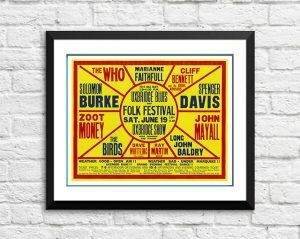 Classic Marianne Faithfull Band Concert Posters and Memorabilia! Buy Online Now! Few stars of the ’60s reinvented themselves as successfully as Marianne Faithfull. Coaxed into a singing career by Rolling Stones manager Andrew Loog Oldham in 1964, she had a big hit in both Britain and the U.S. with her debut single, the Jagger/Richards composition “As Tears Go By” (which prefaced the Stones‘ own version by a full year). Not a songwriter at the outset of her career, she owes more of her fame as a ’60s icon to her extraordinary beauty and her long-running romance with Mick Jagger, although she offered a taste of things to come with her compelling 1969 single “Sister Morphine,” which she co-wrote (and which the Stones later released themselves on Sticky Fingers). 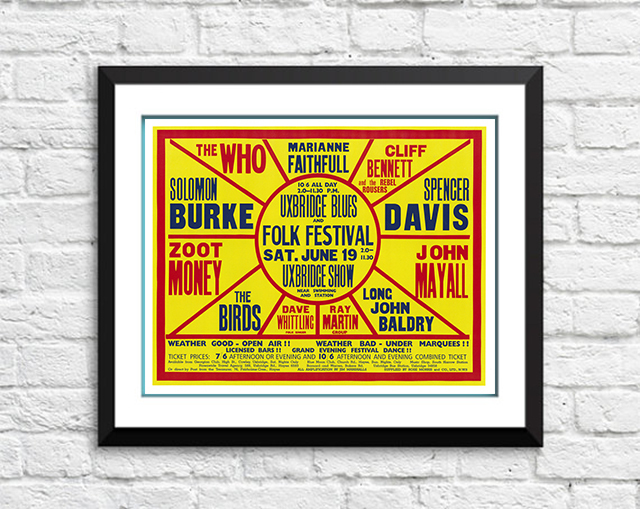 We stock some awesome Marianne Faithfull Band Concert Posters.